Machine learning and artificial intelligence (AI) are some of the hottest topics in marketing today. But for many marketers, they might sound just a bit out of your price range. 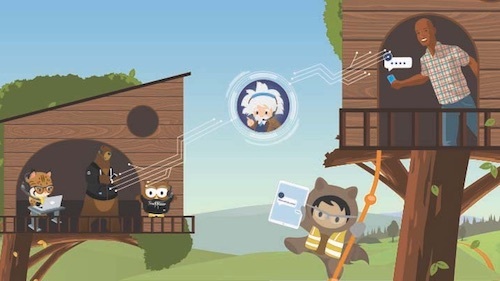 What you may not realize is that you probably already use both these technologies, and that with Einstein, Salesforce has made it easier than ever for marketers to adopt machine learning and AI into their marketing strategies. In the latest episode of the Marketing Cloudcast, we looked at AI and other marketing trends with expert Mark Dolliver, a Senior Analyst at eMarketer, to find out how technology is shaping marketing now and in the future. 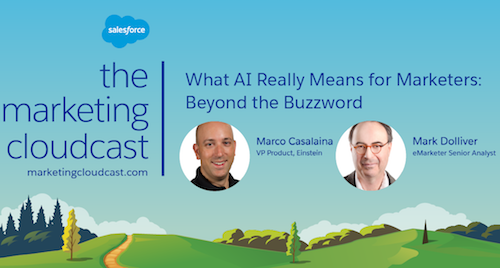 We were also joined by Marco Casalaina, Salesforce’s Vice President of Einstein, to hear how AI can change our everyday lives in the simplest ways. From getting started with AI, to figuring out how to integrate it into your existing marketing goals, and finding a strong footing with voice technology, this episode has a little something for everyone interested in learning more about what AI can do for them. Listen to this week’s episode and subscribe on Apple Podcasts, Google Play Music, Stitcher, or wherever you listen to podcasts. 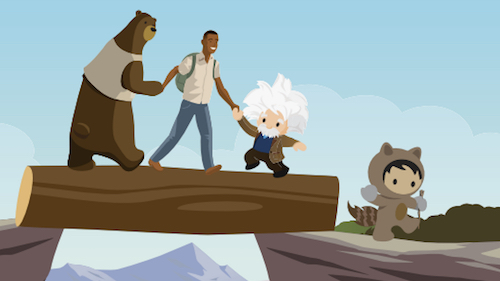 According to research from Salesforce’s 4th Annual State of Marketing report, marketers anticipate their AI use will grow more than 50% over the next two years. If you have another interesting topic that you want to hear on the Marketing Cloudcast, let us know! 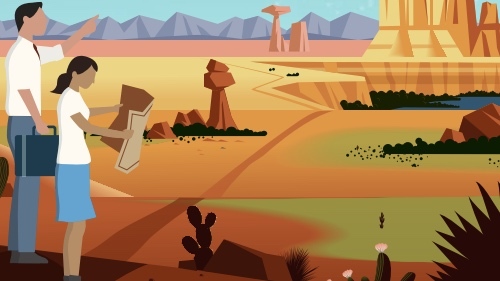 Email us your guest suggestions at cloudcast@salesforce.com.